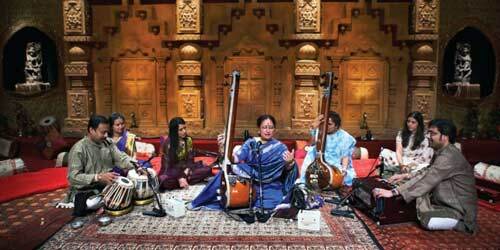 Further visits on the Saturday and Sunday to this prestigious weekend festival of South Asian Music left mixed feelings. An interview demonstration with the carnatic flautist Shashank Subramanium fostered a desire to come again for his recital next Sunday morning. But that talk session was followed with a duo recital by violinist brothers Garnesh & Kumaresh which, for me, hit a new low. They began playing largely in unison, supported by percussion. The sound was generally loud, coarse and unappealing. At one point they did ask the sound controller to soften - the monitors, I think - at which cue I clapped agreement conspicuously, and later signalled, to nods of approval by (Asian) neighbours close by, that it ought to go down, down - but all to no avail. I wondered about these Indians' instruments, with contact microphones on cables and additional floor mics in front of them, a sight strange indeed. I cannot think that any owners of class violins (usually on sponsored loan) would permit them to be subjected to such a travesty as did these young brothers (who had completed their hundredth stage appearance by around 10). Soon I departed, conscious of our so different experience of string instruments in that venue; we hear classical violins on a regular basis at the Purcell Room; never amplified of course. It is relevant to note that the hall was cleared in each interval "for sound checks" - who were the arbiters? This problem, which seriously restricts our recommendation to European concert goers of the attractions of the Darbar Festival, is compounded by the contrast of watching the DVD of the 2008 festival, decently filmed (though the camera often has to look through a forest of close microphones) and with all the chosen tracks sounding well at home, where you can choose your preferred listening volume level ! It was being sold with a fine, handsomely illustrated book, Darbar Arts Heritage (Edtd. Kulbir S Natt) for c. £20, with magnificent photos which adorned the walls of the QEH foyer, contributing to the festive atmosphere. The book has important articles, one about the difficulties faced by Asian immigrants to UK and another on The Future of Technology in North Indian Music (sic). That doesn't deal with my little technological problem as a concert-goer but, far more importantly, looks forward to computer programmes which would assist teaching with visualisation of melodic lines and the intricasies of rhythm, much of which passes us by (Shashank Subramanium at one point mentioned that he was going to introduce a different tal in tandem with that of his colleague "but you'll not notice the difference"...). Sunday morning was yet another of contrasting experiences. 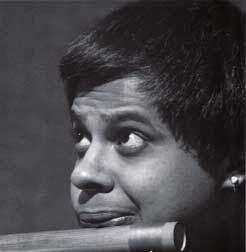 The main attraction was a jamboree in which Shashank*, a youthful genius of the South Indian Carnatic flute (supported by mdringam) played in friendly competition with sitarist Purbayan Chattergee who was abetted by 'Pinky' Singh on tabla. The sound was loud and strenuous, often strident, the enhanced volume setting encouraged from the platform. I apologise for labouring my concern about the amplification problem, but this is bound to alienate prospective audience members who regularly attend chamber concerts on South Bank. It has certainly caused us to attend Indian music events less often than in the mid decades of the last century. I have suggested trying an experiment at one of the many Darbar events - take a first item at one of the concerts unamplified and then, before carrying on, a vote from the audience whether they need it louder. If it is hoped to increase attendances beyond the Asian community the issue should be re-considered carefully before bringing Darbar back to London next year? A single festival concert "unplugged" out in Surrey is not enough, and I conclude with a comment from a leading London music editor and critic: I was surprised to learn from you that amplification was used for a Purcell Room concert ! This would seem wholly unnecessary given that the venue is relatively small and the sound carries effortlessly. It's difficult to imagine anything in the Purcell Room, even including speech, requiring amplification and I imagine the volume of sound would have been irritating. 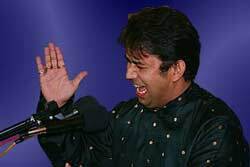 See also our report of the first evening of Darbar 2009, and our article Indian Classical Music for the Blind and Deaf. * Shashank can be enjoyed on a highly recommendable double CD Margazhi melodies, a live recording of a concert in Chennai, 2004, with unusual accompanists (violin, mridangam, ghatam and morsing - a South Indian version of the Jew's harp which features in Carnatic concerts). A peculiarity is that the package is being sold with an extra empty pocket. Following enquiry, I learnt that "hopefully in the near future, there may be an information booklet to fill that pocket" !! P.S. 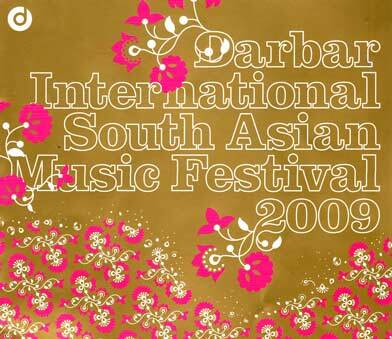 August 2009: 10 one hour programs from Darbar Festival 2009 will be broadcast on Sky Arts from 17th August every night at 7pm from Monday to Friday for two weeks. Keep an eye out at www.skyarts.co.uk/darbar for program details. 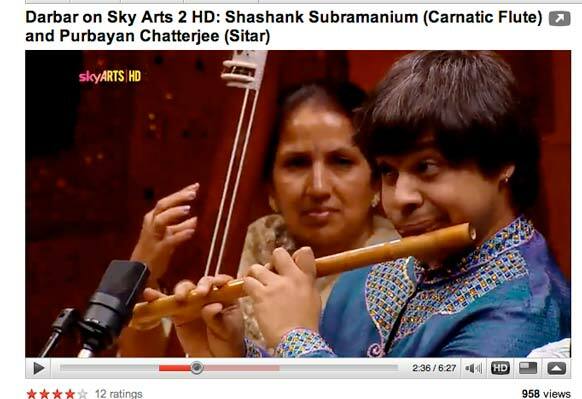 You can watch the short 5 min previews on http://www.youtube.com/user/darbarfestival and we have hugely enjoyed the one featuring flautist Shashank Subramanium; sample it at http://www.youtube.com/user/darbarfestival#play/uploads/0/42W5Q5kJmZk ; well filmed, better sound than live at Purcell Room !